The Game Developers Conference (GDC) is not even under way yet and the virtual reality news has already started pouring in. Valve broke the news early last week that they would be bringing a new VR HMD to GDC. As conversations swirled, the hype and wondering about what the device would be escalated to a crescendo last night when HTC revealed the Re Vive headset they have developed in partnership with Valve. Boasting some really impressive measurable including an input solution that sources have said use wireless wand-like controllers, 15′ x 15′ of 360-degree motion tracking space to walk in with the use of Steam base stations, and 90Hz refresh rate on the screen that according to one of the developers at Owlchemy, “basically solved the sim sickness problem;” all of this with an impressive 1200×1080 screen for each eye. With the announcement, HTC and Valve also announced an array of new partnerships to compliment the new headset. The initially announced partnerships include Owlchemy Labs, Cloudhead Studios, Dovetail Games, Vertigo Games, Skillman & Hackett, Bossa Studios, Fireproof Games, and Wemo Labs on the games and experiences side. HTC also announced partnerships with HBO, Lionsgate Films and Google to help create content as well all of which is expected to be released by the end of this year, with developer kits to be released this Spring. We have compiled for you a run down of all these new partnerships and what these companies are up to in the VR space. Officially, Skillman & Hackett (Tiltbrush), Cloudhead Games (The Gallery: Six Elements) and Owlchemy Labs (Job Simulator) have all confirmed that they are working on games for the device, and we are monitoring the situation closely for more official announcements. Without further adieu, here’s everything you need to know about the initial Vive partnerships. Based in Austin, Texas Owlchemy Labs is focused on making “absurd and highly polished games.” One of the early entrants into the VR gaming sphere, Owlchemy Labs previously produced the popular infinite falling game, Aaaaaculus. The game has been the second most downloaded on the Oculus share store and is currently the highest grossing game for Cardboard. Looking forward towards GDC, the company is going to be releasing a new game at the show, called Job Simulator which has been created specifically for virtual reality, with an eye towards the unique support of Steam VR. The game, which embraces the company’s mantra of absurd games, places you in a bizarre future world where all jobs have been replaced by robots. In order to prevent humans from forgetting what it means ‘to job’ the Job Bot was created and from where Job Simulator was born. It looks like the game will consist of a number of ‘jobs’ that you will be able to do, presented in a minigame like format. From the screenshots it appears that cooking and bartending will be among the activities to choose from. The game appears to make full use of the motion controllers that will be a part of the new Vive HMD, and it will also take advantage of the “full room VR” that is currently unique to the Vive. This means that in the version of The Gallery for the Vive you will be able to walk around and pick up objects just as you would in the real world. From an illustrative example on the game’s website: “Need a cog to solve a puzzle? Search through the world, find it, pick it up, and walk it over to the puzzle that requires it. Place the cog into the proper slot like you would if it were real, but do not get your fingers caught..” This level of exploratory immersion really suits this genre well, so it will be really exciting to see the the game in action. Dovetail Games began specializing in Train simulation games for rail enthusiasts in 2009. The company released its first game, RailWorks on Steam in 2009. Since then the company has continued to develop that series of games, which is currently on it’s most recent rendition entitled Train Simulator 2015. Which the team has already rendered into VR internally. Dovetail also has developed a fishing simulator, and recently signed a global licsensing deal for Microsoft’s Flight Simulator X, which has been a mainstay in the flight simulation genre. According to their website, the team is currently investigating “new concepts” for the popular flight simulator, and will be releasing them in “December 2015.” While this isn’t a direct confirmation that the company will be bringing the popular series to VR, it seems like a likely scenario, especially looking at when the consumer version of the Vive is expected to be released (around that same time). Dovetail’s fishing simulator seems like a likely candidate for VR as well, based on what we have been told about the controllers it seems like the fishing game might be a lot of fun. Vertigo Games is the Rotterdam-based studio behind the World of Diving game currently in development for VR. The game is a massively multiplayer online exploratory universe that takes users underwater to go on diving experiences together and explore, salvage and collect things in the underwater universe. 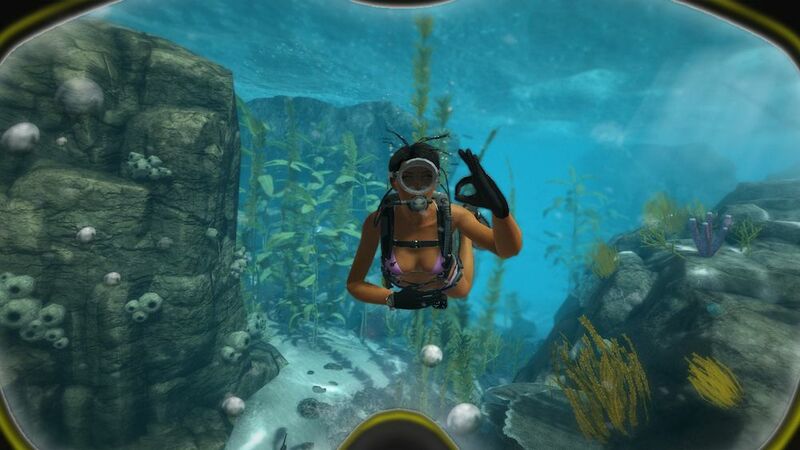 Whether this means that World of Diving will be shown on the Vive is not confirmed but it seems likely, unless the company has been working on an entirely new project for the device. Currently the game is available on Steam Early Access. Tilt Brush on the new Vive seems like a match made in heaven, being able to literally walk around the designs you are creating and see them from every angle is big, as is a reliable wireless tracking controller. Imagine a director being able to quickly sketch up a scene for storyboarding and be able to walk around and explore it from all angles, to truly inhabit the design. The app also has social functionality, allowing for users to upload gifs of their creations to social media with one click. Those creations can also be shared in the Tilt Brush Gallery mobile app, which works with mobile platforms like Google Cardboard. A previous build of the game was nominated for four different Proto Awards and took home the award for best GUI. Bossa Studios is the indie game development team behind the cult hit Surgeon Simulator, a darkly comedic ‘surgery simulation’ game. Using an over the top style players assume the role of Nigel Burke a shaky handed surgeon in training as they try to perform delicate surgical procedures using fine tools like scalpels and hammers. The game is driven by a physics engine that leads to loads of hilarity as things don’t always behave like they are expected to. Bossa Studios were a very early adopter of VR with Surgeon Simulator 2013 which added support for the Oculus Rift in conjunction with the Razer Hydra back in June of 2013. The availability of the Razer Hydra (which was discontinued and has skyrocketed in price on the secondary market) has limited the game’s VR support, but that doesn’t seem like it will be an issue on the Vive with its wireless motion controllers. The game feels like a perfect fit for the new headset, and should help show off its unique capabilities. Fireproof games is a mobile game developer behind the award winning puzzle box series, The Room, a game that places you in a room with a box and a mystery that you have to unravel, puzzle by puzzle. I will freely admit that the title and its sequel The Room 2 are among my favorite mobile games ever, and with the third game in the series expected to be released in spring of 2015, right about the same time that the Vive development kits are expected to drop. At the moment this remains speculative, but the series seems ripe for VR. Another potential title candidate form Fireproof is Omega Agent a VR game that was developed for Gear VR. The game puts you in the role of a the Omega Agent a secret agent and jetpack aficionado, and is set on a remote island training facility. The reason this seems somewhat less likely to be Fireproof’s Vive entry, however, is that the game was announced originally as a “Gear VR exclusive,” whether that remains the case is still to be seen. WEVR, formally Wemo Labs, is a virtual reality company that is focused on story telling in VR. The company has been working on a project called TheBluVR, which is a experience that takes you into a natural environment and allows you to observe ocean creatures like dolphins and whales, with a narration track. The game is meant as an educational experience, as it allows for you to observe the animal behavior in their natural habitat, rather than in a zoo. 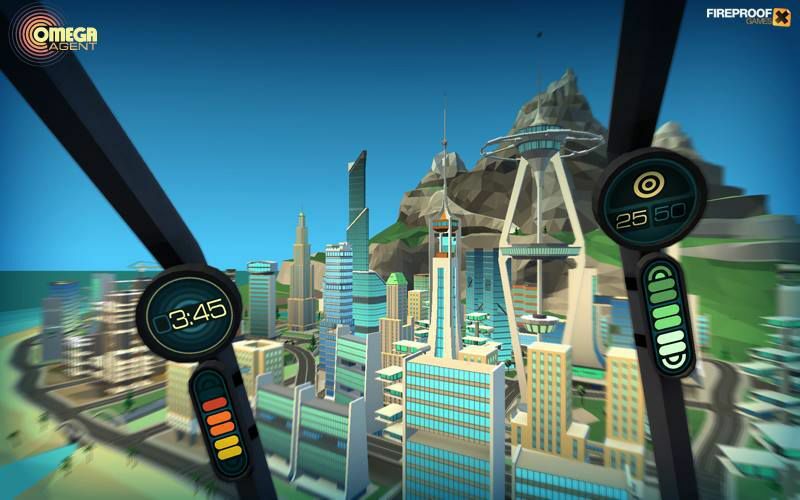 The game was developed originally for the Gear VR, and it is not yet confirmed if it will be ported to the Vive. Based in San Francisco and boasting a team of former Pixar employees Steel Wool Games is a new studio that has yet to produce any VR content. Currently the team has been working on a game called Flyhunter Origins which is available on Android and iOS. The game in it’s current state is a 2D platformer, similar to games like Super Mario Bros. which would make it seem like an odd fit as a VR title. It seems likely that the team is cooking up something that will be revealed at a later date, but it could very likely still be in the same universe. All three of these companies have had prior ties to VR content. HBO collaborated with the Oscar winning team behind Gravity, Framestore, to create an experience for their series Game of Thrones. The experience, called “Ascend the Wall,” was debuted at the second annual Game of Thrones exhibition in NYC early last year. 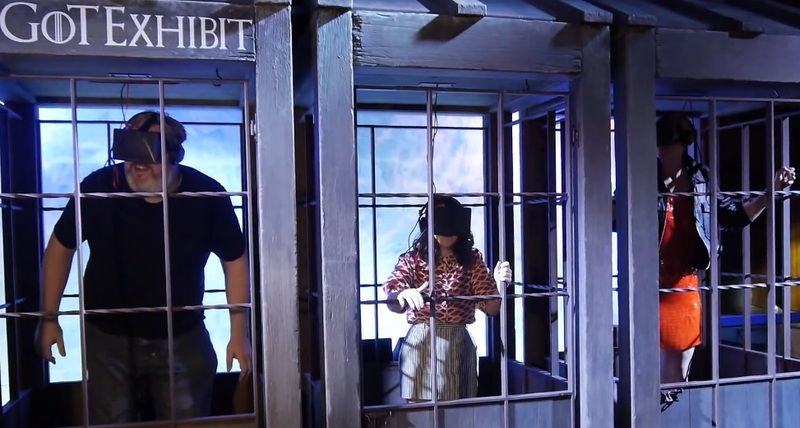 The experience used an Oculus Rift to transport users to Westeros to ride up a rickety wooden elevator as the ascended the wall to the top giving viewers a peak at the view before the Night’s Watch horn sounded. The experience was released ahead of the fourth season of the show, and went fairly viral. It wouldn’t be surprising if HBO was to release a second GoT experience on the Vive ahead of the upcoming season set to debut in… spring 2015. Lionsgate Entertainment released a virtual reality experience today for the upcoming movie Insurgent, set to release March 20th. The experience, which features a number of the film’s stars including Kate Winslet and Mekhi Phifer, In the experience the user is tied to a chair and subjected to a number of the tests that are administered to the characters of the film in order to determine their “divergence.” March 2oth is technically the first day of spring 2015, but it seems likely that the experience for the Vive will be for one of Lionsgate’s other upcoming properties. Some potential candidates include The Hunger Games: Mocking Jay – Part 2 set to be released November 2oth (perhaps after the release of the Vive), the reboot of Point Break coming this Christmas, and Last Knights set to be released in early April. No matter what, it seems likely whatever they put out on the Vive, at least initially, will be tied into their upcoming films. 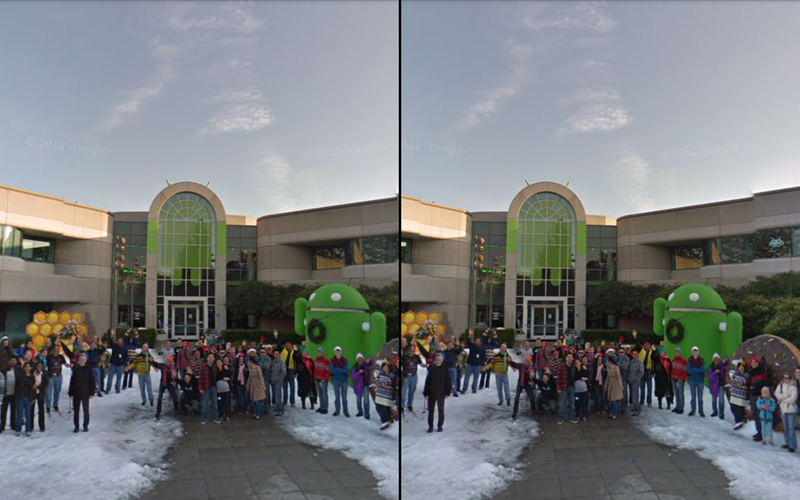 Lastly, Google remains somewhat a bit of a secret in terms of what their collaboration might look like. Google has invested serious effort into its Cardboard platform, but as of now has yet to really produce much in terms of VR content themselves. Google Maps currently has a street view mode that can be explored in virtual reality. Currently all of Google’s efforts in the VR space have been focused on mobile, as well as some experiments in the WebVR space. It seems most likely that that if Google is going to work on VR content for the Vive, it will come in the form of Chrome VR, rather than games or experiences. That being said I would not be surprised if we saw Google look to bring its Play Store into VR. With such a strong array of initial partners, it seems that the Vive and SteamVR are poised for success. As of right now, it exists as the only consumer ready VR kit set to be launched and marketed to consumers this year, which is currently more than can be said for its current main competition, Oculus. GDC is going to be incredibly interesting, and the response from Oculus will likely be one of the shows many highlights. For now, however, the heat has been seriously turned on. Oculus, your head start is over, the hare is coming.